It’s not hard to see why this municipality is dubbed ‘the village inside the city’. 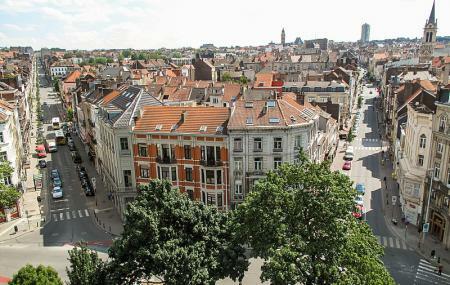 It has a character very distinctly edgier and more relaxed than the rest of Brussels. There is a lot of Art Nouveau architecture, street art (mostly by artist BONOM) bursts out at you at unexpected corners and heights. The Gare du Midi food market is not to be missed on Sundays, but the weekday street food is quite good. There are innumerable boutiques, antique stores and specialty shops. Nightlife is bolstered by the pubs. Stroll down Rue Defacqz for the pretty buildings. Check out the small park next to Rue Faider. How popular is St Gilles?